The history of Poland during the Piast dynasty is the first major stage in the history of Poland. The Piast period lasted from the 10th through the 14th century, when Poland was established as a state and a nation during the Middle Ages of European history. The history of Poland commences with the founding of the Piast dynasty (Siemowit, Lestek and Siemomysł were listed by the chronicler as its first dukes) and the rule of the proper founder of the Polish state Mieszko I, from around 960 AD. The indigenous Piast ruling house was largely responsible for the formation of the state and remained in power until 1370. Mieszko chose to be baptized in the Western Latin Rite in 966, which established a major cultural boundary in Europe. He completed the unification of the West Slavic tribal lands fundamental to the existence of the new country of Poland. Following the emergence of the Polish state, a series of rulers converted the population to Christianity, created a strong kingdom and integrated Poland into the European culture. Mieszko's son, Bolesław I Chrobry, established a Polish Church province, pursued territorial conquests and was officially crowned in 1025, becoming the first King of Poland. The first Piast monarchy collapsed with the death of Mieszko II Lambert in 1034, followed by its restoration under Casimir I. Casimir's son, Bolesław II the Bold, brought back the military assertiveness of Bolesław I, but became fatally involved in a conflict with Bishop Stanislaus of Szczepanów, and was expelled from the country. Bolesław III, the last duke of the early period, succeeded in defending his country and recovering territories previously lost. Upon his death in 1138, Poland was divided among his sons. The resulting internal fragmentation eroded the initial Piast monarchy structure in the 12th and 13th centuries and caused fundamental and lasting changes. Konrad I of Masovia invited the Teutonic Knights to help him fight the Baltic Prussian pagans, which led to centuries of Poland's warfare with the Knights and the German Prussian state. The Kingdom was restored under Władysław I the Elbow-high, then strengthened and expanded by his son Casimir III the Great. The western provinces of Silesia and Pomerania were lost after the fragmentation, and Poland began expanding to the east. 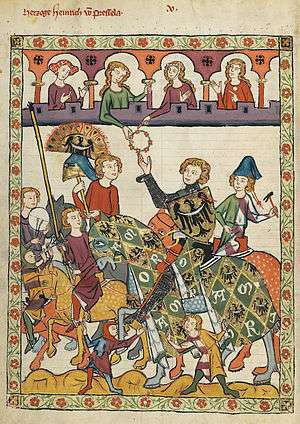 The period ended with the reigns of two members of the Capetian House of Anjou. The consolidation in the 14th century laid the base for the new powerful Kingdom of Poland that was to follow. Important early stages in the history of the Polish state and church took place on the island of Ostrów Tumski. Remnants of the original palatium–chapel complex of Poland's first Christian ruling couple have been found beneath the church in the foreground. The Poznań Cathedral is located on the right. The tribe of the Polans (Polanie, lit. "people of the fields") of what is now Greater Poland, gave rise to a tribal predecessor of the Polish state in the early part of the 10th century, with the Polans settling in the flatlands around the emerging strongholds of Giecz, Poznań, Gniezno and Ostrów Lednicki. Accelerated rebuilding of old tribal fortified settlements, construction of massive new ones and territorial expansion took place during 920–950. The process continued and the Polish state developed from tribal roots in the second half of the century. According to the chronicler Gallus Anonymus, the Polans were ruled by the Piast dynasty. In existing sources, Piast ruler Mieszko I was first mentioned by Widukind of Corvey in his Res gestae saxonicae, a chronicle of 10th-century Germany. Widukind reported that Mieszko's forces were twice defeated in 963 by the Veleti tribes acting in cooperation with the Saxon exile Wichmann the Younger. Under Mieszko's rule (ca. 960 to 992), his tribal state accepted Christianity and became the Polish state. The viability of the emerging state was assured by the persistent territorial expansion of the early Piast rulers. Beginning with a very small area around Gniezno (before the town itself existed), the Piast expansion lasted throughout most of the 10th century, resulting in a territory approximating that of present-day Poland. The Polanie tribe conquered and merged with other Slavic tribes and formed a tribal federation, and later, a centralized state. After the addition of Lesser Poland, the country of the Vistulans, and of Silesia (both taken by Mieszko from the Czech state during the later part of the 10th century), Mieszko's state reached its mature form, including the main regions regarded as ethnically Polish. The Piast lands totaled about 250,000 km2 (96,526 sq mi) in area, with an approximate population of under one million. Initially a pagan, Mieszko I was the first ruler of the Polans tribal union known from contemporary written sources. A detailed account of aspects of Mieszko's early reign was given by Ibrâhîm ibn Ya`qûb, a Jewish traveler, according to whom Mieszko was one of four Slavic "kings" established in central and southern Europe in the 960s. 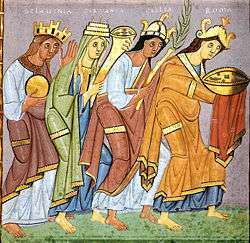 In 965, Mieszko, who was allied with Boleslaus I, Duke of Bohemia at the time, married the duke's daughter, Doubravka, a Christian princess. Mieszko's conversion to Christianity in its Western Latin Rite followed on 14 April 966, and is considered to be the founding event of the Polish state. In the aftermath of Mieszko's 967 victory over a force of the Velunzani, which was led by Wichmann, the first missionary bishop was appointed. The action counteracted the intended eastern expansion of the Magdeburg Archdiocese, established at about the same time. Mieszko's state had a complex political relationship with the German Holy Roman Empire, as Mieszko was a "friend", ally and vassal of Otto I, paying him tribute from the western part of his lands. It fought wars with the Polabian Slavs, the margraves of the Saxon Eastern March (Gero in 963–964 and Hodo in 972, see Battle of Cedynia), and the Czechs. The victories over Wichmann and Hodo allowed Mieszko to extend his Pomeranian possessions west to the vicinity of the Oder River and its mouth. After the death of Otto I, and then again after the death of Otto II, Mieszko supported Henry the Quarrelsome, a pretender to the imperial crown. After the death of Dobrawa, Mieszko married ca. 980 a German, Oda von Haldensleben, daughter of Dietrich, Margrave of the Northern March. When fighting the Czechs in 990, Mieszko was helped by the Holy Roman Empire. By about the year 990, when Mieszko I officially submitted his country to the authority of the Holy See (Dagome iudex), he had transformed Poland into one of the strongest powers in central-eastern Europe. Mieszko I died in 992. Contrary to what the first ruler of Poland had intended, when Oda with her (and Mieszko's) minor sons lost the power struggle, Bolesław, Mieszko's oldest son, became the sole ruler of Poland. A man of high ambition and strong personality, Bolesław embarked on further territorial expansion to the west (Lusatia region), south, and east. While often successful, the campaigns and the gains turned out to be of only passing significance and badly strained the resources of the young nation. Bolesław lost the economically crucial Farther Pomerania, together with its new bishopric in Kołobrzeg; the region had previously been conquered with great effort by Mieszko. Bolesław Chrobry (ruled 992–1025) began his reign by continuing his father's policy of alliance with the Holy Roman Empire. Bolesław received and helped Wojciech of the Slavník family, a well-connected Czech bishop in exile and missionary who was killed in 997 while on a mission in Prussia. Bolesław skillfully took advantage of Wojciech's death: the martyrdom of Wojciech gave Poland a patron saint, St. Adalbert, and resulted in the creation of an independent Polish province of the Church with an archbishop in Gniezno. 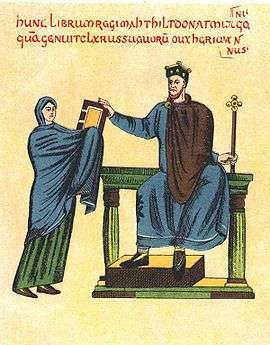 In the year 1000, the young Emperor Otto III came as a pilgrim to visit St. Adalbert's grave and lent his support to Bolesław during the Congress of Gniezno; the Gniezno Archdiocese and several subordinate dioceses were established on this occasion. The Polish ecclesiastical province effectively served as an essential anchor and an institution to fall back on for the Piast state, helping it to survive in the troubled centuries ahead. 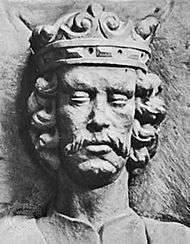 Otto died in 1002 and Bolesław's relationship with his successor Henry II turned out to be much more difficult, resulting in a series of wars (1002–1005, 1007–1013, 1015–1018). From 1003–1004 Bolesław intervened militarily in Czech dynastic conflicts. After his forces were removed from Bohemia in 1018, Bolesław retained Moravia. In 1013 the marriage between Bolesław's son Mieszko and Richeza of Lotharingia, the niece of Emperor Otto III and future mother of Casimir I the Restorer, took place. The conflicts with Germany ended in 1018 with the Peace of Bautzen accord, on favorable terms for Bolesław. In the context of the 1018 Kiev expedition, Bolesław took over the western part of Red Ruthenia. In 1025, shortly before his death, Bolesław I the Brave finally succeeded in obtaining the papal permission to crown himself, and became the first king of Poland. King Mieszko II Lambert (990–1034) tried to continue the politics of his father using Bolesław's kingdom as an interventionist great power. Mieszko's actions reinforced old resentment and hostility on the part of Poland's neighbors, and his two dispossessed brothers took advantage of it, arranging for Rus' and German invasions in 1031; Mieszko was defeated and was forced to leave the country. Later, Mieszko's brothers Bezprym and Otto were killed and Mieszko partially recovered. The first Piast monarchy collapsed with Mieszko's death in 1034. Deprived of a government, Poland was ravaged by an anti-feudal and pagan rebellion, and in 1039 by the forces of Bretislaus I of Bohemia. 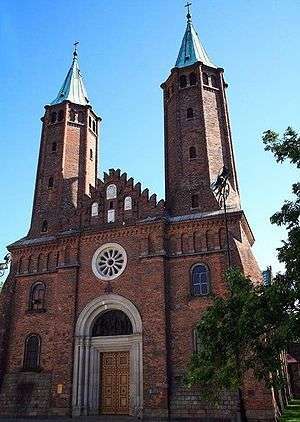 The country suffered territorial losses, and the functioning of the Gniezno archdiocese was disrupted. The nation made a recovery under Mieszko's son, Duke Casimir I (1016–1058), properly known as the Restorer. After returning from exile in 1039, Casimir rebuilt the Polish monarchy and the country's territorial integrity through several military campaigns: in 1047, Masovia was taken back from Miecław, and in 1054 Silesia from the Czechs. Casimir was aided by the recent adversaries of Poland, the Holy Roman Empire and Kievan Rus', both of whom disliked the chaos in Poland. Casimir introduced a more mature form of feudalism and relieved the burden of financing large army units from the duke's treasury by settling his warriors on feudal estates. Faced with the widespread destruction of Greater Poland after the Czech expedition, Casimir moved his court to Kraków, replacing the old Piast capitals of Poznań and Gniezno; Kraków functioned as the nation's capital for several centuries. Casimir's son Bolesław II the Bold, also known as the Generous (ruled 1058–1079), developed Polish military strength and waged several foreign campaigns between 1058 and 1077. As an active supporter of the papal side in its feud with the German emperor, Bolesław crowned himself king in 1076 with the blessing of Pope Gregory VII. In 1079 there was an anti-Bolesław conspiracy or conflict that involved the Bishop of Kraków. Bolesław had Bishop Stanislaus of Szczepanów executed; subsequently Bolesław was forced to abdicate the Polish throne because of the pressure from the Catholic Church and the pro-imperial faction of the nobility. St. Stanislaus was to become the second martyr and patron saint of Poland, canonized in 1253. After Bolesław's exile the country found itself under the unstable rule of his younger brother Władysław I Herman (ruled 1079–1102). Władysław was strongly dependent on Palatine Sieciech. When Władysław's two sons, Zbigniew and Bolesław, finally forced Władysław to remove his hated protégé, Poland was divided among the three of them from 1098, and after the father's death from 1102 to 1106 between the two brothers. After a power struggle, Bolesław III the Wry-mouthed (ruled 1102–1138) became the Duke of Poland by defeating his half-brother in 1106–1107. Zbigniew had to leave the country, but received support from Emperor Henry V, who attacked Bolesław's Poland in 1109. Bolesław was able to defend his country because of his military abilities, determination and alliances, and also because of a national mobilization across the social spectrum (see Battle of Głogów); Zbigniew who later returned was eliminated. Bolesław's other major achievement was the conquest of all of Mieszko I's Pomerania (of which the remaining eastern part had been lost by Poland from after the death of Mieszko II), a task begun by his father and completed by Bolesław around 1123. Szczecin was subdued in a bloody takeover and Western Pomerania up to Rügen, except for the directly incorporated southern part, became Bolesław's fief, to be ruled locally by Wartislaw I, the first duke of the Griffin dynasty. At this time, Christianization of the region was initiated in earnest, an effort crowned by the establishment of the Pomeranian Wolin Diocese after Bolesław's death in 1140. Before he died, Bolesław Krzywousty divided the country, in a limited sense, among four of his sons. He made complex arrangements intended to prevent fratricidal warfare and preserve the Polish state's formal unity, but after Bolesław's death the plan's implementation had failed and in reality a long period of fragmentation was ushered in. For nearly two centuries the Piasts were to spar with each other, the clergy, and the nobility for the control over the divided kingdom. The stability of the system was supposedly assured by the institution of the senior or high duke of Poland, based in Kraków and assigned to the special Seniorate Province that was not to be subdivided. Following his concept of seniorate, Bolesław divided the country into five principalities: Silesia, Greater Poland, Masovia, Sandomierz and Kraków. The first four provinces were given to his four sons, who became independent rulers. The fifth province, the Seniorate Province of Kraków, was to be added to the senior among the Princes who, as the Grand Duke of Kraków, was the representative of the whole of Poland. This principle broke down already within the generation of Bolesław III's sons, when Władysław II the Exile, Bolesław IV the Curly, Mieszko III the Old and Casimir II the Just fought for power and territory in Poland, and in particular over the Kraków throne. The external borders left by Bolesław III at his death closely resembled the borders left by Mieszko I; this original early Piast monarchy configuration had not survived the fragmentation period. From the time of the baptism of Poland's ruling elite, foreign churchmen had been arriving and the culture of early Medieval Poland was developing as a part of European Christendom. However, it would be a few generations from the time of Mieszko's conversion until significant numbers of native clergymen appeared. After the establishment of numerous monasteries in the 12th and 13th centuries, Christianization of the populace was accomplished on a larger scale. Intellectual and artistic activity was concentrated around the institutions of the Church, the courts of the kings and dukes, and emerged around the households of the rising hereditary elite. Written annals began to be generated in the late 10th century; leaders like Mieszko II and Casimir the Restorer were considered literate and educated. Along with the Dagome iudex act, the most important written document and source of the period is the Gesta principum Polonorum, a chronicle by Gallus Anonymus, a foreign cleric from the court of Bolesław the Wry-mouthed. 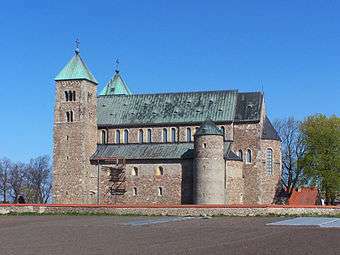 A number of Pre-Romanesque stone churches were built beginning in the 10th century, often accompanied by palatium ruler residencies; Romanesque buildings proper followed. The earliest coins were minted by Bolesław I around 995. 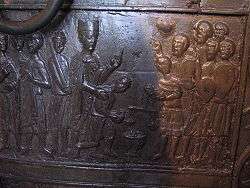 The Gniezno Doors (1170s) of Gniezno Cathedral (bronze low relief) are the finest example of Romanesque sculpture. Bruno of Querfurt was one of the pioneering Western clergymen spreading Church literacy; some of his prominent writings had been produced in eremitic monasteries in Poland. Among the preeminent early monastic religious orders were the Benedictines (the abbey in Tyniec founded in 1044) and the Cistercians. The 13th century brought fundamental changes to the structure of Polish society and its political system. Because of the fragmentation and constant internal conflicts, the Piast dukes were unable to stabilize Poland's external borders of the early Piast rulers. Western Farther Pomerania broke its political ties with Poland in the second half of the 12th century and from 1231 became a fief of the Margraviate of Brandenburg, which in 1307 extended its Pomeranian possessions even further east, taking over the Sławno and Słupsk areas. Pomerelia or Gdańsk Pomerania had been independent of the Polish dukes from 1227. In mid 13th century, Bolesław II the Bald granted Lubusz Land to the Margraviate, which made possible the creation of the Neumark and had far reaching negative consequences for the integrity of the western border. In the south-east, Leszek the White was unable to preserve Poland's supremacy over the Halych area of Rus', a territory that had changed hands on a number of occasions. The social status was becoming increasingly based on the size of feudal land possessions. Those included the lands controlled by the Piast princes, their rivals the great lay land owners and church entities, all the way down to the knightly class; the work force ranged from hired "free" people, through serfs attached to the land, to slaves (purchased or war and other prisoners). The upper layer of the feudal lords, first the Church and then others, were able to acquire economic and legal immunity, which made them exempt to a significant degree from court jurisdiction or economical obligations (including taxation), that had previously been imposed by the ruling dukes. The civil strife and foreign invasions, such as the Mongol invasions in 1240/1241, 1259/1260 and 1287/1288, weakened and depopulated the many small Polish principalities, as the country was becoming progressively more subdivided. The depopulation and the increasing demand for labor in the developing economy caused a massive immigration of West European peasants, mostly German settlers into Poland (early waves from Germany and Flanders in the 1220s). The German, Polish and other new rural settlements were a form of feudal tenancy with immunity and German town laws were often utilized as its legal bases. German immigrants were also important in the rise of the cities and the establishment of the Polish burgher (city dwelling merchants) class; they brought with them West European laws (Magdeburg rights) and customs which the Poles adopted. From that time the Germans, who created early strong establishments (led by patriciates) especially in the urban centers of Silesia and other regions of western Poland, had been an increasingly influential minority in Poland. In 1228, the Acts of Cienia were passed and signed into law by Władysław III Laskonogi. The titular Duke of Poland promised to provide a "just and noble law according to the council of bishops and barons." 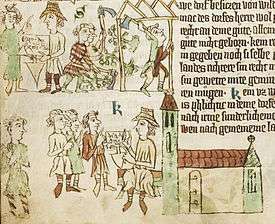 Such legal guarantees and privileges included the lower level land owners—knights, who were evolving into the lower and middle nobility class known later as szlachta. The fragmentation period weakened the rulers and established a permanent trend in Polish history, whereby the rights and role of the nobility were expanded at the monarch's expense. In 1226 Konrad I of Masovia invited the Teutonic Knights to help him fight the pagan Baltic Prussian people, who lived in a territory adjacent to his lands; substantial border warfare was taking place and Konrad's province was suffering from Prussian invasions. On the other hand, the Old Prussians themselves were at that time being subjected to increasingly forced (including papacy-sponsored crusades), but largely ineffective Christianization efforts. The Teutonic Order soon overstepped the authority and moved beyond the area granted them by Konrad (Chełmno Land or Kulmerland). In the following decades they conquered large areas along the Baltic Sea coast and established their monastic state. As virtually all of the Western Baltic pagans became converted or exterminated (the Prussian conquests were completed by 1283), the Knights confronted Poland and Lithuania, then the last pagan state in Europe. Teutonic wars with Poland and Lithuania continued for most of the 14th and 15th centuries. The Teutonic state in Prussia, populated by German settlers beginning in the 13th century, had been claimed as a fief and protected by the popes and Holy Roman Emperors. As the disadvantages of national division were becoming increasingly apparent in various segments of the society, some of the Piast dukes had begun making serious efforts aimed at the reunification of the Polish state. Important among the earlier attempts were the activities of the Silesian dukes Henry I the Bearded, his son Henry II the Pious, who was killed in 1241 while fighting the Mongols at the Battle of Legnica, and Henry IV Probus. In 1295 Przemysł II of Greater Poland became the first, since Bolesław II, Piast duke crowned as King of Poland, but he ruled over only a part of the territory of Poland (including from 1294 Gdańsk Pomerania) and was assassinated soon after his coronation. A more extensive unification of Polish lands was accomplished by a foreign ruler, Václav II of Bohemia of the Přemyslid dynasty, who married Przemysł's daughter and became King of Poland in 1300. Václav's heavy-handed policies soon caused him to lose whatever support he had earlier in his reign; he died in 1305. An important factor in the unification process was the Polish Church, which remained a single ecclesiastical province throughout the fragmentation period. Archbishop Jakub Świnka of Gniezno was an ardent proponent of Poland's reunification; he performed the crowning ceremonies for both Przemysł II and Wenceslaus II. Świnka supported Władysław Łokietek at various stages of the duke's career. Culturally, the social impact of the Church was considerably broader in the 13th century, as networks of parishes were established and cathedral-type schools became more common. The Dominicans and the Franciscans were the leading monastic orders at this time, and they interacted closely with the general population. A proliferation of narrative annals characterized the period, as well as other written records, laws and documents. More of the clergy were of local origin; others were expected to know the Polish language. Wincenty Kadłubek, the author of an influential chronicle, was the most recognized representative in the intellectual sphere. Perspectiva, a treatise on optics by Witelo, a Silesian monk, was one of the finest achievements of medieval science. 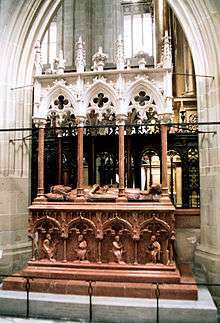 The construction of churches and castles in the Gothic architecture style predominated in the 13th century; native elements in art forms were increasingly important, with significant advances taking place in agriculture, manufacturing and crafts. Władysław the Elbow-high and his son Casimir the Great were the last two rulers of the Piast dynasty in the unified Kingdom of Poland of the 14th century. Their rule was not a return to the Polish state as it existed before the period of fragmentation, because of the loss of internal cohesion and territorial integrity. The regional Piast princes remained strong and for economic and cultural reasons some of them gravitated toward Poland's neighbors. The Kingdom lost Pomerania and Silesia, the most highly developed and economically important of the original ethnically Polish lands (a disputable designation in case of Slavic Western Pomerania), which left half of the Polish population outside the Kingdom's borders. The western losses had to do with the failure of the unification efforts undertaken by the Silesian Piast dukes and the German expansion processes. These included the Piast principalities developing (or falling into) dependencies in respect to the German political structures, settler colonization and gradual Germanization of the Polish ruling circles. The lower Vistula was controlled by the Teutonic Order. Masovia was not to be fully incorporated into the Polish state anytime soon. Casimir stabilized the western and northern borders, tried to regain some of the lost territories, and partially compensated the losses by his new eastern expansion, which placed within his kingdom regions that were East Slavic, and thus ethnically non-Polish. Despite the territorial truncation, 14th century Poland experienced a period of accelerated economic development and increasing prosperity. This included further expansion and modernization of agricultural settlements, the development of towns and their greater role in briskly growing trade, mining and metallurgy. A great monetary reform was implemented during the reign of Casimir III. Jewish settlement was taking place in Poland since very early times. In 1264 Duke Bolesław the Pious of Greater Poland granted the Statute of Kalisz privilege, which specified a broad range of freedoms (of religious practices, movement, trading) and rights for the Jews, creating a legal precedent of official protection from local harassment and exclusion. The act also exempted the Jews from enslavement or serfdom and was the foundation of future Jewish prosperity in the Polish Kingdom; it was later followed by many other comparable legal pronouncements. Following a series of expulsions of Jews from Western Europe, Jewish communities were established in Cracow, Kalisz and elsewhere in western and southern Poland in the 13th century; at Lviv, Brest-Litovsk and Grodno further east in the 14th century. 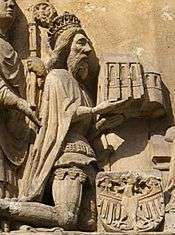 King Casimir received Jewish refugees from Germany in 1349, helping accelerate the Jewish expansion in Poland that was to continue until World War II. German urban and rural settlements were another long-lasting ethnic feature. Władysław Łokietek (ruled 1305–1333), who began as an obscure Piast duke from Kuyavia, fought a lifelong, uphill battle with powerful adversaries with persistence and determination. When Łokietek died as the king of a partially reunited Poland, he left the Kingdom in a precarious situation. Although the area under King Władysław's control was limited and many unresolved issues remained, Łokietek may have saved Poland's existence as a state. Supported by his Hungarian allies, Władysław returned from exile and challenged Václav II, and after his death Václav III in 1304–1306. Václav III's murder terminated the Přemyslid dynasty and their involvement in Poland. Afterwards Władysław Łokietek completed the takeover of Lesser Poland, entering Kraków, and took the lands north of there, through Kuyavia all the way to Gdańsk Pomerania. 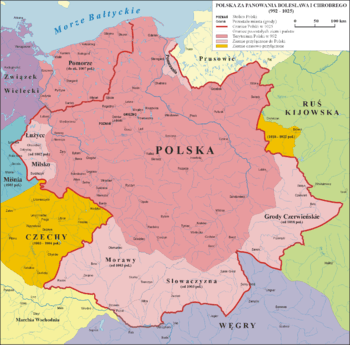 In 1308, Pomerania was conquered by the Brandenburg state. In a recovery effort, Łokietek agreed to ask for help the Teutonic Knights; the Knights brutally took over Gdańsk Pomerania and kept it for themselves. In 1311–1312, a rebellion in Kraków instigated by the city's patrician leadership seeking a rule by the House of Luxembourg was put down. This event may have had a limiting impact on the emerging political power of towns. In 1313–1314 Władysław conquered Greater Poland. 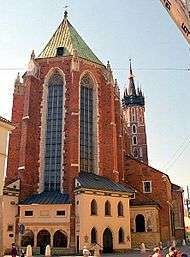 In 1320, Władysław I Łokietek became the first King of Poland crowned not in Gniezno, but in Kraków's Wawel Cathedral. The coronation was hesitantly agreed to by Pope John XXII, despite the opposition from John of Bohemia, who had also claimed the Polish crown. John undertook in 1327 an expedition aimed at Kraków, which he was compelled to abort; in 1328, he waged a crusade against Lithuania during which he formalized an alliance with the Teutonic Order. The Order was in a state of war with Poland from 1327 to 1332 (see Battle of Płowce); the Knights captured Dobrzyń Land and Kujawy. Władysław was helped by his alliances with Hungary (his daughter Elizabeth was married to King Charles Robert in 1320) and Lithuania (1325 pact against the Teutonic State and the marriage of Łokietek's son Casimir to Aldona, daughter of Lithuanian ruler Gediminas), and from 1329 by a peace agreement with Brandenburg. A lasting achievement of John of Luxembourg (and Poland's greatest loss) was forcing most of the Piast Silesian principalities, often ambivalent about their loyalties, into allegiance (1327–29). After Łokietek's death, the old monarch's 23-year-old son became King Casimir III, later known as Kazimierz the Great (ruled 1333–1370). Unlike his father the new king had no inclination for the hardships of military life. Casimir's contemporaries did not give him much of a chance for overcoming the country's mounting difficulties or succeeding as a leader. But from the beginning, Casimir acted prudently, purchasing in 1335 John's claims to the Polish throne. In 1343, Casimir settled several high-level arbitration disputes with the Teutonic Order by a territorial compromise, culminating in the Treaty of Kalisz, a peace treaty that concluded the Polish-Teutonic War of 1326–1332. Dobrzyń Land and Kuyavia were recovered by Casimir. At that time Poland started to expand to the east and through a series of military campaigns between 1340 and 1366 Casimir had annexed the Halych–Volodymyr area of Rus'. The town of Lviv there attracted newcomers of several nationalities, was granted municipal rights in 1356, and had thus begun its career as Lwów, the main Polish center in the midst of a Rus' Orthodox population. Supported by Hungary, the Polish king in 1338 promised the Hungarian ruling house the Polish throne in the event he dies without male heirs. Casimir, who in 1339 formally gave up his rights to several Silesian principalities, unsuccessfully tried to recover the region by conducting military activities against the Luxembourgs between 1343 and 1348, but then blocked the attempted separation of Silesia from the Gniezno Archdiocese by Charles IV. Later until his death he pursued the Polish claim to Silesia legally by petitioning the pope; his successors had not continued his efforts. Allied with Denmark and Western Pomerania (Gdańsk Pomerania was granted to the Order as an "eternal charity"), Casimir was able to impose some corrections on the western border. In 1365 Drezdenko and Santok became Poland's fiefs, while Wałcz district was in 1368 taken outright, severing the land connection between Brandenburg and the Teutonic state and connecting Poland with Farther Pomerania. Casimir the Great considerably solidified the country's position in both foreign and domestic affairs. Domestically, he integrated and centralized the reunited Polish state and helped develop what was considered the "Crown of the Polish Kingdom"—the state within its actual, as well as past or potential (legal from the Polish point of view) boundaries. Casimir established or strengthened kingdom-wide institutions (such as the powerful state treasury), independent of the regional, class, or royal court related interests. Internationally, the Polish king was very active diplomatically, cultivated close contacts with other European rulers and was a staunch defender of the Polish national interest. In 1364 he sponsored the Congress of Kraków, in which a number of monarchs participated, and which was concerned with the promotion of peaceful cooperation and political balance in Central Europe. Immediately after Casimir's death in 1370, the heirless king's nephew, Louis of Hungary of the Capetian House of Anjou, assumed the Polish throne. As Casimir's actual commitment to the Anjou succession seemed problematic from the beginning (in 1368 the Polish king adopted his grandson, Casimir of Słupsk), Louis engaged in succession negotiations with Polish knights and nobility starting in 1351. They supported him, exacting in return further guarantees and privileges for themselves; the formal act was negotiated in Buda in 1355. After the coronation, Louis returned to Hungary; he left his mother and Casimir's sister Elizabeth in Poland as a regent. With the death of Casimir the Great, the period of hereditary (Piast) monarchy in Poland came to an end. The land owners and nobles did not want a strong monarchy; a constitutional monarchy was established between 1370 and 1493 (beginnings of general sejm, the dominant bicameral parliament of the future). During the reign of Louis I, Poland formed a union with Hungary. In the pact of 1374 (the Privilege of Koszyce), the Polish nobility were granted extensive concessions and agreed to extend the Anjou succession to Louis' daughters, as Louis had no sons. Louis' neglect of Polish affairs resulted in the loss of Casimir's territorial gains, including Halych Rus', recovered by Queen Jadwiga in 1387. In 1396, Jadwiga and her husband Jagiełło (Jogaila) forcefully annexed the central Polish lands separating Lesser Poland from Greater Poland, previously granted by King Louis to his Silesian Piast ally, Duke Władysław of Opole. The Hungarian-Polish union lasted for twelve years and ended in war. 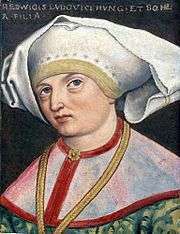 After Louis' death in 1382 and an ensuing power struggle, the Polish nobility decided that Jadwiga, Louis' youngest daughter, should become the next "King of Poland"; Jadwiga arrived in 1384 and was crowned at the age of eleven. The failure of the union of Poland and Hungary paved the way for the union of Lithuania and Poland. In the 14th century, many large scale brick building projects were undertaken during Casimir's reign, including the construction of Gothic churches, castles, urban fortifications and homes of wealthy city residents. 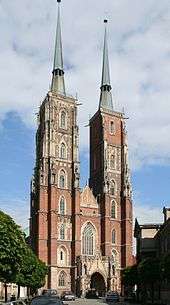 The most notable architecture of the medieval period in Poland are the many churches representing the Polish Gothic style; medieval sculpture, painting and ornamental smithery are best expressed in the furnishings of churches and liturgical items. Polish law was first codified in the Statutes of Casimir the Great (Piotrków–Wiślica Statutes) from 1346–1362. Accordingly, conflict resolution relied on legal proceedings domestically, while bilateral or multilateral negotiations and treaties were increasingly important in international relations. By this time, the network of cathedral and parish schools had become well developed. In 1364, Casimir the Great, based on a papal concession, established the University of Kraków, the second oldest university in Central Europe. While many still traveled to southern and western Europe for university studies, the Polish language, along with the predominant Latin, is increasingly present in written documents. The Holy Cross Sermons (ca. early 14th century) constitute possibly the oldest extant Polish prose manuscript. ↑ "The history of Ostrów Tumski stronghold". Poznań.pl. Retrieved 2009-09-19. ↑ Ed. Andrzej Chwalba, Kalendarium dziejów Polski (Chronology of Polish History), p. 29, Krzysztof Stopka. Copyright 1999 Wydawnictwo Literackie Kraków, ISBN 83-08-02855-1. ↑ Kłoczowski, Jerzy (2000). A history of Polish Christianity. Cambridge University Press. p. 11. ISBN 978-0-521-36429-4. Retrieved 12 April 2011. ↑ Makk, Ferenc (1993). Magyar külpolitika (896-1196) ("The Hungarian External Politics (896-1196)"). Szeged: Szegedi Középkorász Műhely. pp. 48–49. ISBN 963-04-2913-6. ↑ Richard Overy (2010), The Times Complete History of the World, Eights Edition, pp. 116–117. London: Times Books. ISBN 978-0-00-788089-8. Davies, Norman (2005) . God's Playground: A History of Poland. Vol. 1: The Origins to 1795. Oxford: Oxford University Press. ISBN 0-19-925339-0. Knoll, Paul W. (1972). The Rise of the Polish Monarchy: Piast Poland in East Central Europe, 1320–1370. Chicago: University of Chicago Press. ISBN 0-226-44826-6.